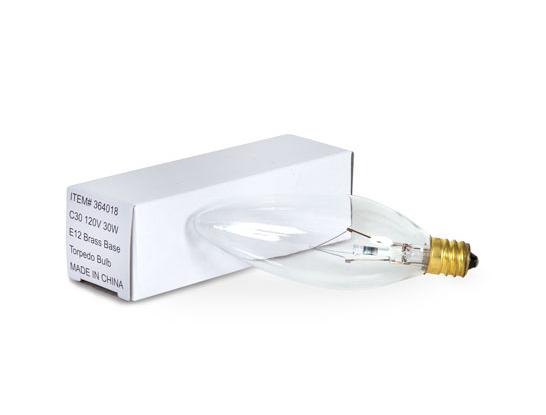 120V, 30-watt torpedo light bulb with brass base. Size E-12. Candelabra base bulb.